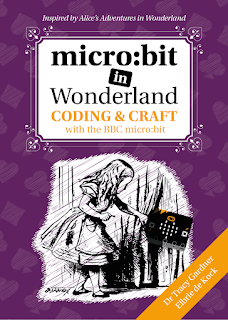 We are big fans of craft and tech projects here at Tech Age Kids. At a recent Science Festival we added some tech to a makedo cardboard creation. Kids love making with cardboard. It's cheap and easy and generally you can make creative structures with simple tools and craft materials. 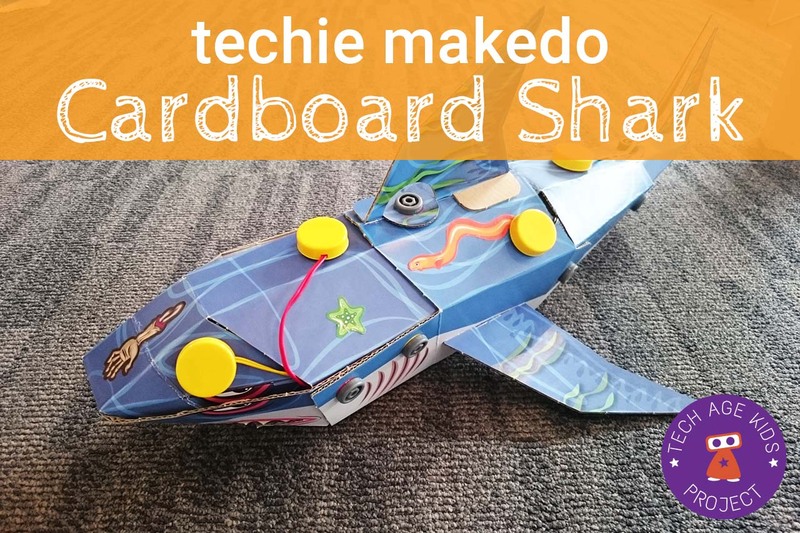 We love the the makedo tools for cardboard projects. Firstly they help make better structures, as the joints are more secure than sticky tape for example. Plus I love the fact they are reuseable. Your cardboard may break but you can unscrew the makedo screws and plugs and use in a new creation. I bought the Makedo Ready to Build Shark and T-Rex as Christmas presents for the boys. It was really easy to build using the colour codes guide. The video below provides detail instructions of how to make the Shark. There are different Makedo Ready to Build projects including the T-Rex, a Kitten, formula car and more. 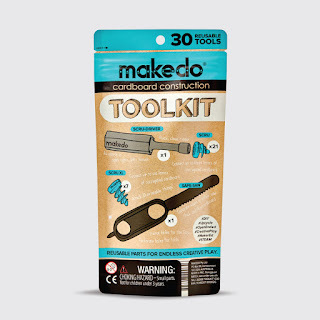 Makedo sells tools only kits, which provides you limitless possibilities with cardboard creations. The tools can be reused over and over again. The starter kit contains 21 short screws (skru); 7 longer screws; a saw and the all essential makedo Skru-Driver to drive the screws into the cardboard. My 5 year old was able to use the tools with some adult support and my 7 year old made his creation independently. 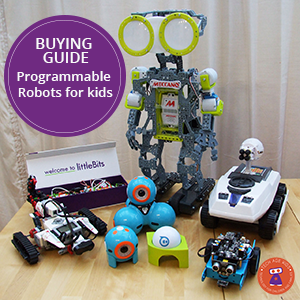 Makedo recommends the tools for 4+ with adult help and 6+ for independent use. The makedo toolkits are available from the makedo website. We've used the Electro Mat Voice Recorder in several projects including a talking poster and a Built It Robot. 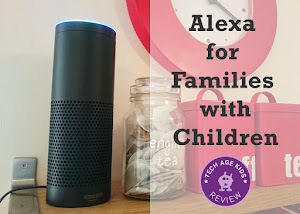 The device is a perfect introduction to tech for younger children. Although the Electro Mat Voice Recoder was originally made to be used with BeeBots, they are versatile enough to use with other projects. Tracy made her Ozobots "talk" with the voice recorder. For our project, we fixed the four sensors from the recorder on various parts of the cardboard shark. We fed the cables through the joints to the inside. The device fitted in perfectly and we secured it with some sticky tack. (You need to make sure you can easily remove it to record your voice and switch it on and off. 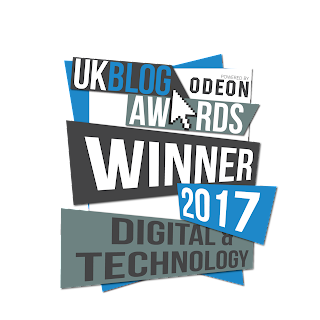 We are very impressed that the device only need really cheap AA batteries and worked really well. This techified cardboard shark made the perfect platform for my youngest to record some shark facts for the recent Winchester Science Festival we attended. 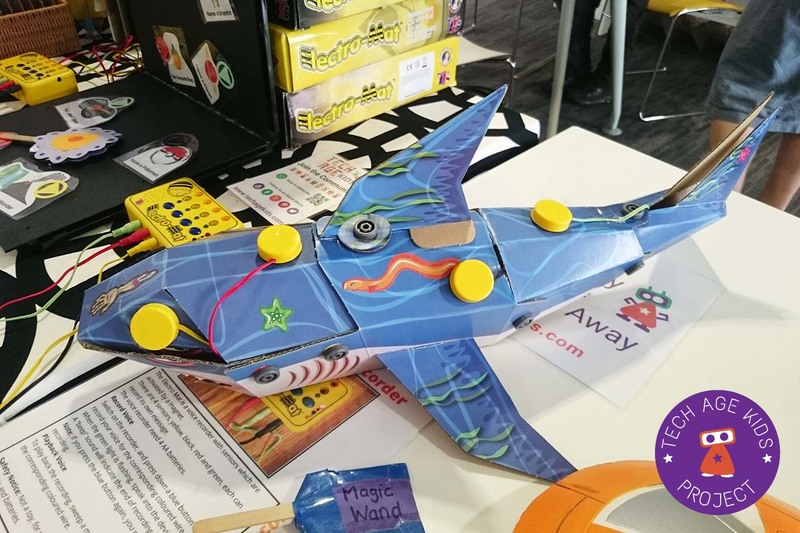 We were very pleased we could get more life out of our makedo cardboard shark with some simple but very effective tech. Kids just love hearing their voices playback.